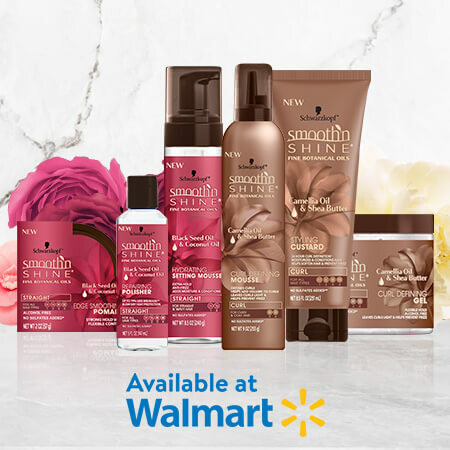 < Find Smooth ‘N Shine at Wal-Mart! Have you been looking for your favorite Smooth ‘N Shine products in stores to no avail? You’re not alone. We’ve totally revamped our old products with new packaging and even better ingredients so it’s no surprise you haven’t been lucky in finding them on your local retailers’ shelves – but we’re here to help you rediscover your favorite products and get back to treating your tresses with our trusted products! Wherever you live, you’re bound to have a Wal-Mart (or ten) near your home, right? Great! Smooth ‘N Shine products are available at this specific retailer! 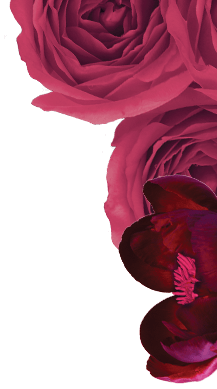 You’ll see our new branding style in a brown hue design for curly to coily textures and rose-pink hues for wavy to straight hair types. There’s also an updated formula that includes Shea Butter and Camellia Oil for curlier hair, and Black Seed Oil and Coconut Oil for those with straighter strands. We’ll get to the exact benefits of each ingredient down below, so keep reading! Curl Defining Gel, Curl Defining Mousse, and Styling Custard. These products are made with natural ingredients like Shea Butter and Camellia Oil which are known for being thoroughly hydrating and restorative, aiding in the conditioning of your curls! Bodifying Mousse, Hydrating Setting Mousse, Edge Smoothing Pomade, Repairing Polisher, and Spray-On Polisher. Straighter hair tends to need more care and focus in a good cleanser and volume enhancer and, luckily, all of the products in the Straight Line are infused with Black Seed Oil and Coconut Oil which essentially stimulates hair growth and helps in re-growing certain thinning areas on your scalp. This ensures that you maintain the sleek style you desire without damaging or weighing down your natural hair with heavy and greasy products. 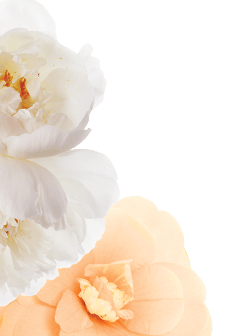 If you’d like to learn more about our new and improved makeover, subscribe to our email list here and become a part of the Smooth ‘N Shine family! We’re excited for you to join us!